Melbourne based label Oomph & Floss spend time with their kids in nature to find creative sparks. 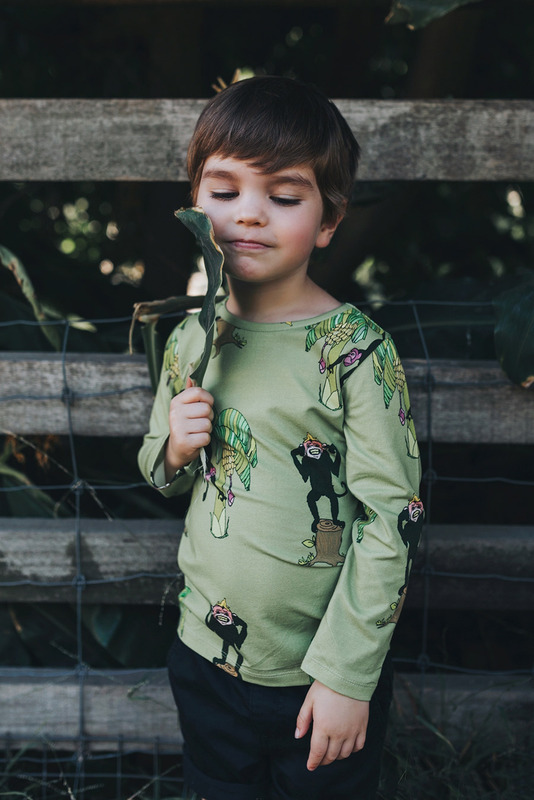 With their cute and clever range of clothing, their goal is to strengthen the relationship between a child and their natural environment. 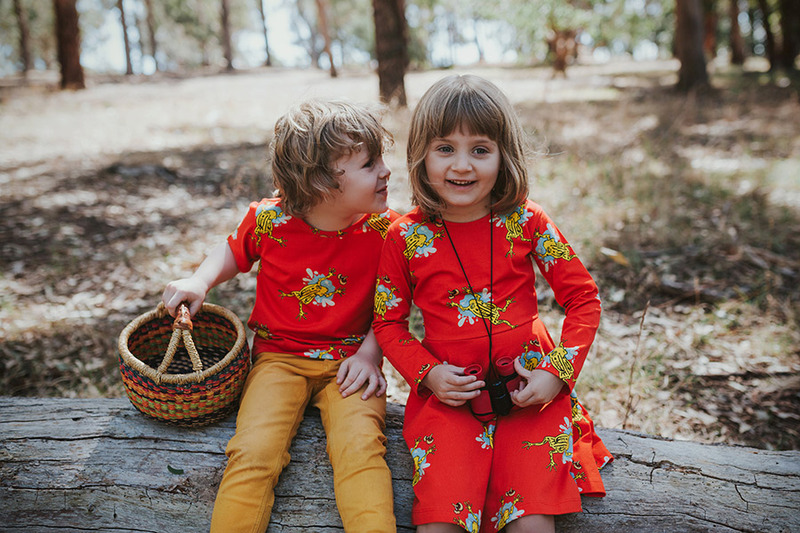 Debut stall Oomph & Floss is a must-see for Mums and Dads at Finders Keepers Sydney Autumn Winter 2018, back THIS WEEKEND at The Cutaway Barangaroo Reserve. I have visited Finders Keepers in my home city of Melbourne and absolutely loved the vibe and energy in this market. When I started Oomph and Floss 3 years ago, I always had the ultimate goal of selling my designs at this event. I started Oomph and Floss a year after my daughter turned one. I recall looking for organic cotton toddler clothing that was bold and bright. 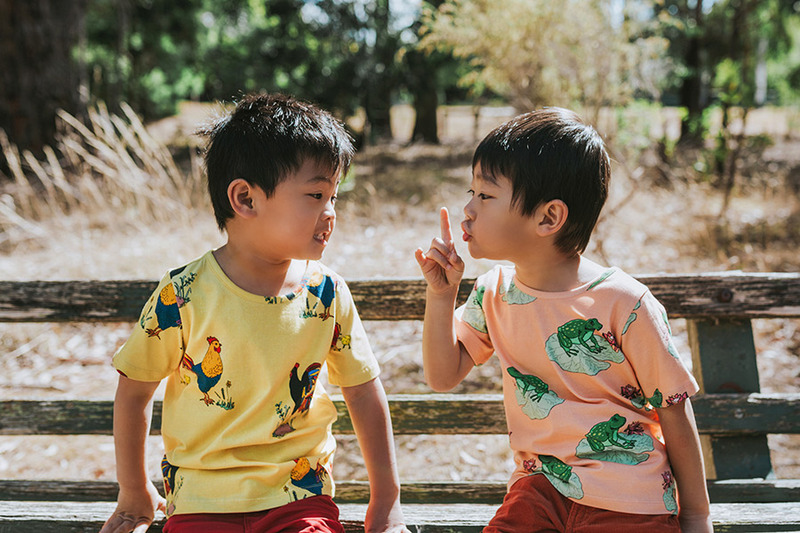 I found that while plenty of brands had established themselves well in the baby and infant organic cotton clothing market, only a handful have successfully captured the equally growing toddler market in the same way. Most brands worked with a risk-free colour palette and illustrations – the pinks for girls, blues for boys, whites for unisex, cute puppy faces, princess-themes. Don’t get me wrong, it is all pretty stuff and I’ve bought heaps of it myself (because it works) but there was something missing. Most brands lack energy, attitude and oomph – the very attributes that reflect the personality of a typical waddler and toddler. 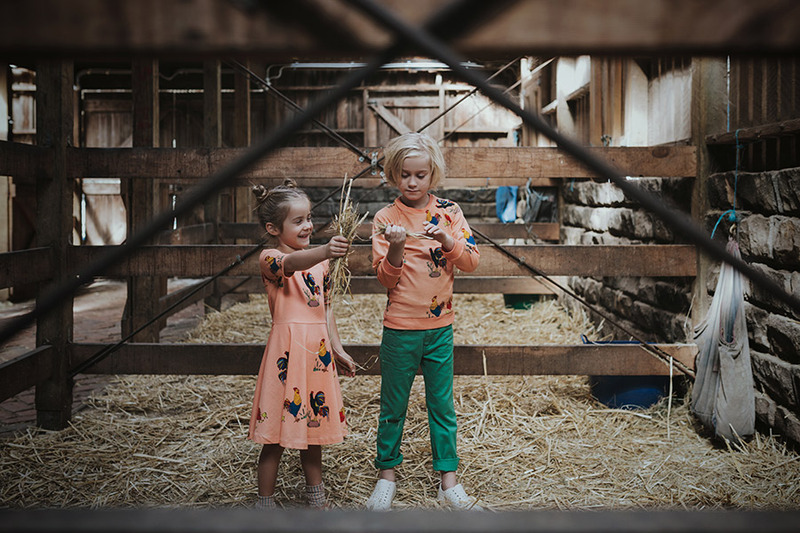 Oomph and Floss was born to respond to the needs of parents looking for clothing that reflects the whimsical, curious and exploratory side to young children, their energy, their rebel, their innocence. The best part about life at Oomph and Floss is that there is no typical day and no two days are alike! Being a one woman team I usually find myself packing a flask of coffee and some lunch and heading to the local library where I set myself up in a corner with my headphones on and do everything from brief my illustrator, work on tech packs, liaise with our manufacturer in India, work on my website, schedule social media posts, respond to customers. When I’m not across a screen, you’ll find me doing a stock take, organising my little warehouse, packing beautiful orders and making trips to the post office. On Thursdays and Fridays I’m usually packing to show my designs at a local markets across Victoria. I’ve recently set up a small studio and packing room in the loft of our home. There have been many proud moments as I am a believer in celebrating even the tiniest of achievements. A good review on Oomph and Floss social media accounts, customers who take the time to write in to just compliment our designs, scoring that new wholesaler, the launch of every new collection are extremely proud moments for a business that is less than 3 years old. I’d have to say that just being accepted into a market as prestigious as Finders Keepers is a pretty proud business moment for me. It’s such an honour to be featured alongside such amazingly talented creators. A lot of my inspiration for creativity comes from the time I spend in nature with my daughter and all the fabulous books I read to her. 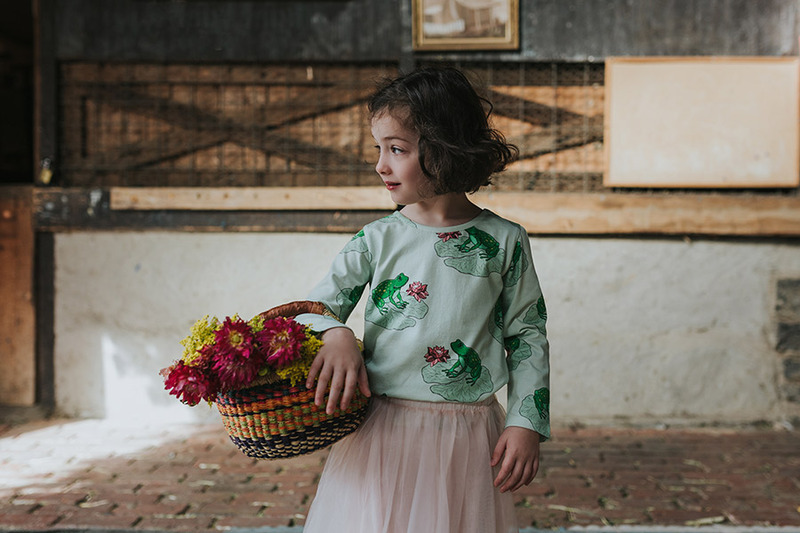 I always strive to create designs that inspire playfulness that, in a way, strengthen a child’s connection with the natural environment. Our illustrations have a strong focus on all things nature, mainly animals and the environment they live in. We want children to revel in nature and develop a healthy respect for it while they find their unique place in the world. I also love the time my daughter and I spend pouring over books at the library and I enjoy how fascinated she is by the detail in the illustrations and by the characters in the stories we read. I would have to say Megan McKean of Mckean Studio is my absolute favourite designer at Finders Keepers. I crush over all that colour and detail in her illustrations – we own signed copies of her books! Over the next 5 years, I’m hoping to introduce our designs to customers in Europe and the United States. We’ve had plenty of direct customers from the two continents since we started the brand which indicates to me that there is perhaps a market for our designs and need for an international wholesale strategy. I’m also hoping to extend the range of clothing to mums so they too can relive their childhood through our designs.